I read a message somewhere from a guy who collected test equipment. I was both envious and frightened; envious that he was doing it because I could easily see myself doing it too, and frightened because I could easily see myself doing it too. 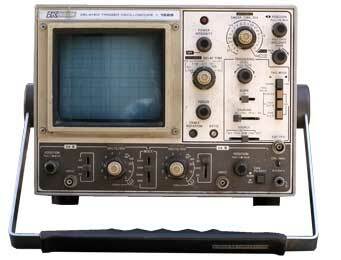 Like the oscilloscope below, this was something The Old Man acquired from one of his friends; he said they'd been used in one of the shops where he'd worked. The only time I ever saw him actually use it was when his Hickok signal generator died and we tried to use this one instead, and it was just a debacle. Now I have it. In theory it's a hell of a machine; it's one of those swiss-army-knives that's supposed to do a variety of important things if you're working on transistor radios. There's 0-12VDC power supply with enough juice to run a car radio. There's a signal generator that covers AM and FM broadcast and IF frequencies. There's a transistor tester, both in and out of circuit, and a simple VOM. So far I've only used the signal generator, and the "birdies" were too numerous to make it useful. But maybe some day I'll find a use for this. Looks good on the shelf, though. The Old Man was an electronics tech at work; at home he dabbled with projects but most didn't require a scope. When I was growing up he had an old Dumont that I thought was great, but it was also very limited. That was given away, and eventually replaced with three or four B&K's a friend gave him. Those slowly disappeared until he was left with this one, which was given to me when I took the intro-to-electronics class. It was "take it and don't bring it back!" It freed up space on his bench for more useful things for what he did, and he could still borrow it back from me if he needed it. It's a nice scope. By modern standards I'd call it middle-tier. It's analog and everything new is digital. 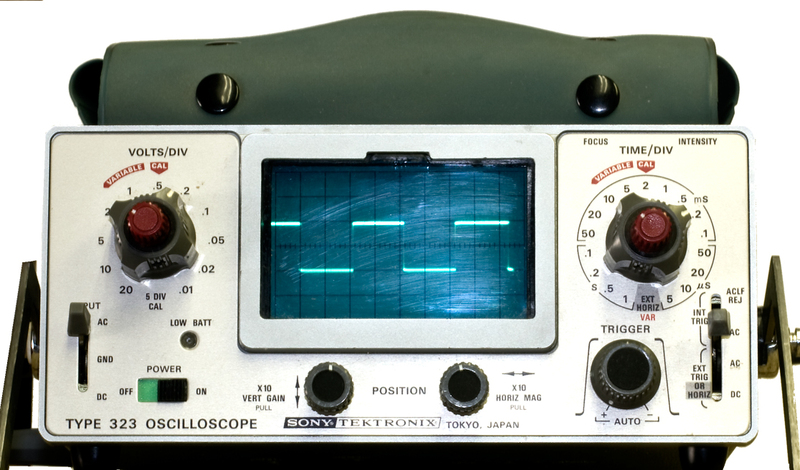 At school we used a Tektronix which was very, very similar but a bit newer, and I don't think it had any additional features that I needed. Every so often I come across one of those big, impressive looking modular Tektronics rigs and I imagine where it would go on my bench. But so far I have yet to need a scope and not have the B&K do what was needed, so there's no real reason to replace or suppliment it. 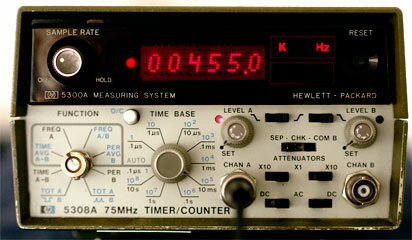 My third frequency counter, after the HP 5308 (below) died on me. * It's a lot simpler than the HP: it's single channel, there are only two slide switches, one selector switch and a knob. I had some trouble trying it out so I ended up reading the book, but for what I do (verifying the actual frequency output of RF signal generators) you shouldn't need the book. You set the Freq/Time switch to Frequency, set the attenuator to X1 because the voltage we're going to see is very small, put the trigger knob to 0 (which seems to be where it's happy), and start with the selector at 1S. It reads out directly in kHz, but it has enough positions that you can read up to 100 MHz—you just to have to remember it's in kHz. 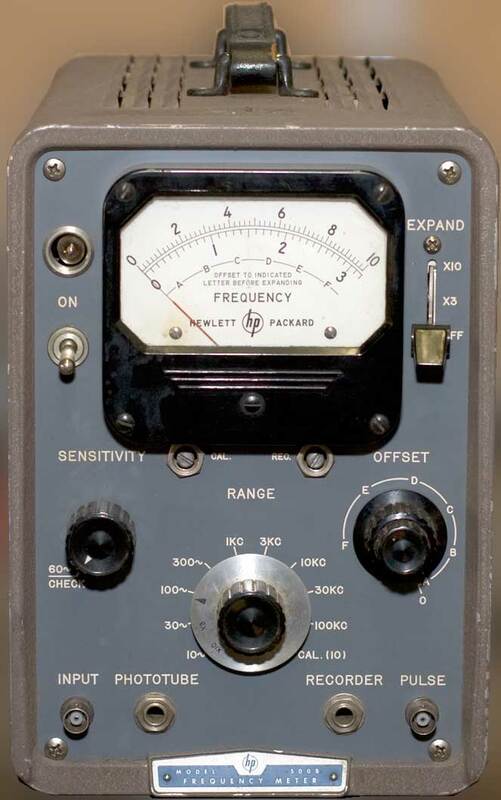 The key to using it with RF signal generators, at least the ones I use like my Hickok 288X or my RCA WR-49A, is to crank up the generator's output to full power: on the Hickok it's RFx100 and 100% output; on the RCA it's the high output jack and the RF attention all the way clockwise. A strong signal gives a stable signal. Then back it down when you feed the signal into a radio. One feature I find lacking on this is an unpluggable cable. It comes straight out the back and there's no loom to hold it; so if you coil it and tie it up, you end up with a sort of pony tail sticking out the back. No big deal if you leave it on your bench, but it's irritating if you want to store it. The HP's cord unplugs, which sounds trivial but it's a nice feature. This was one of the rarest of eBay creates I've seen in recent years: it was priced very reasonably, it had a low (accurate) shipping cost, and the owner had tested it and knew that it works. It amazes me how many I things I see that are priced outrageously, or priced reasonably but they want a godawful shipping amount, and regardless, they have no idea whether it works or not other than a power light comes on when it's plugged in. Current Conditon: needs a recent test. Sounds impressive doesn't it? This is another magic-eye machine. Thankfully mine still works. This was another one from the great radio-test-equipment purge from The Old Man's bench. These are relatively common, I've seen them for sale on eBay and elsewhere. Phil's Old Radios has a nice page about this. Boat Anchor Pix has a fleet of them. Another item with a weak eye tube (moron this below). This one takes a 1629. They're supposedly less expensive than 6E5s and 6U5s, but not as much as they used to be. This one works backward (to my mind). You hook up a capacitor and then turn the dial until the eye tube iris is at its widest, and that's your reading. Usually eye tubes are set so you close them until the leaves just touch, and that's your optimum. I've only used it a little bit. It tests electrolytics, and I've got a big 2-stage can in a chassis that I don't want to replace if I don't have to, so I'm going to try and test it in place (I'll disconnect the ground to take it out of the circuit). If it saves me having to pull that can, it'll be worth the price of a new eye tube right there. SO, here's one that gets booked to "tuition." I mentioned earlier that the magic eye was weak. I had to turn off the overhead lights to see it. So I added it to my shopping list and ordered a replacement. Actually I ordered two because I like to have a backup in inventory in case I need one again. Now the eye glows beautifully. It wasn't weak, the damned leaky bypass cap was shunting power and lowering the operating voltage. So now I have two 1629s on the way. I need none, but wouldn't mind one to put in the tube caddy; but two? For awhile I was thinking I could use a 1629 to replace an "expensive" 6E5/6U5, but the prices really aren't much different anymore. Anyway, the moral is if you have a weak eye tube, test it on a tube checker (or something else that uses them) because it may be fine. This guy is on Teardown Tuesday to show the complicated inner workings. Another electronics class acquisition—I wanted to be able to do some of the labs at home. Plus I enjoy building kits. 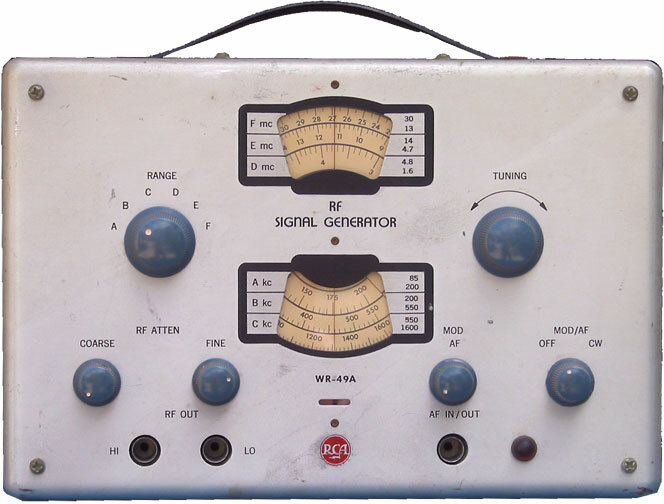 Elenco has a few, and this function generator looked both interesting and useful. I was very happy with it; it's fairly easy to build (I was able to do it), the instructions were clear, and ultimately I had something I could use for experiments. I checked its output on the scope and the wave forms (it puts out sine, triangle and square) all looked great; the square is rounded off at the top speed (1 Mhz) but still perfectly good for what I was doing. Also gave me some practice for my marginal soldering skills. The only bad part is that its output isn't strong enough to align radios. Another item from The Old Man's bench purge. There's no history behind that I know of. It's one of the very few pieces pieces of Heath equipment that he owned. I haven't found the manual for it yet, and no history. Haven't used it yet. The Old Man used it as a audio-frequency generator. I know that this is a particularly crappy photo. I'll try it again when I have more time and energy to light it properly. Purchased for $15 at a thirft store. Turned out it had no tubes, and it takes a dozen of them. None of them are pricey but together they add up. I have about half of them, so I'll have to order the rest. If anyone cares, the tube compliment is: one 12AT7, two 5965s, three 6AL5s, one 6463, one 5725, a 6AU5, a 6CB6, an OB2, and a 5Y3. They also count two NE-2 neon bulbs as tubes. This will be on Teardown Tuesday when I outfit it and see if it works. 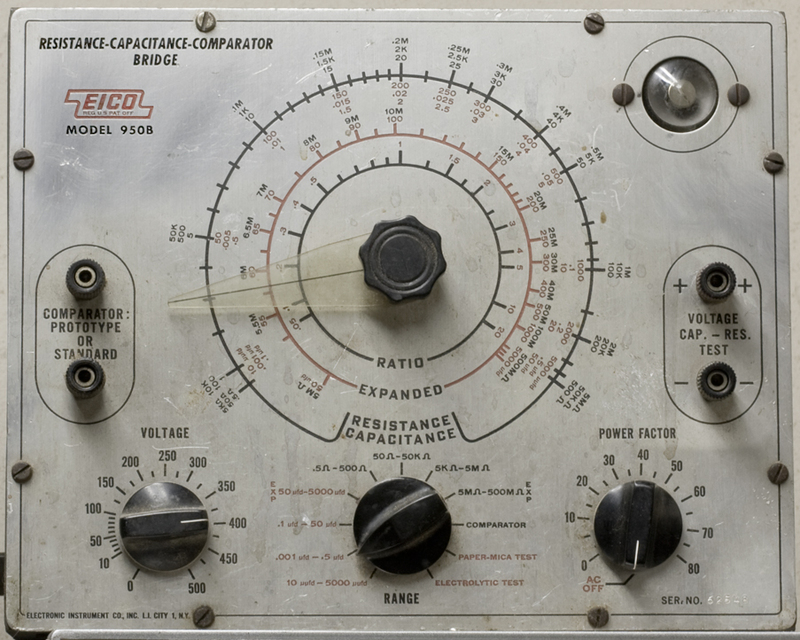 This is an early frequency counter. The bad part (for me) is that it only goes to 100 KHz, which makes it not very useful for most radio work. The manual is available here at the HP Archive. 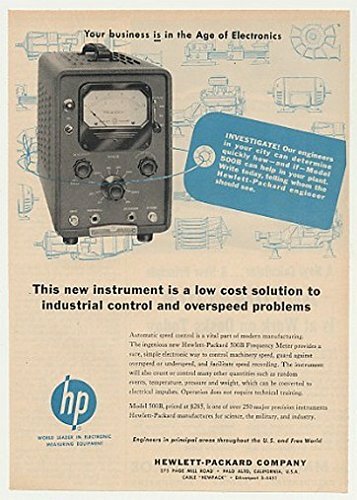 It is also mentioned in the HP Journal from September 1955. 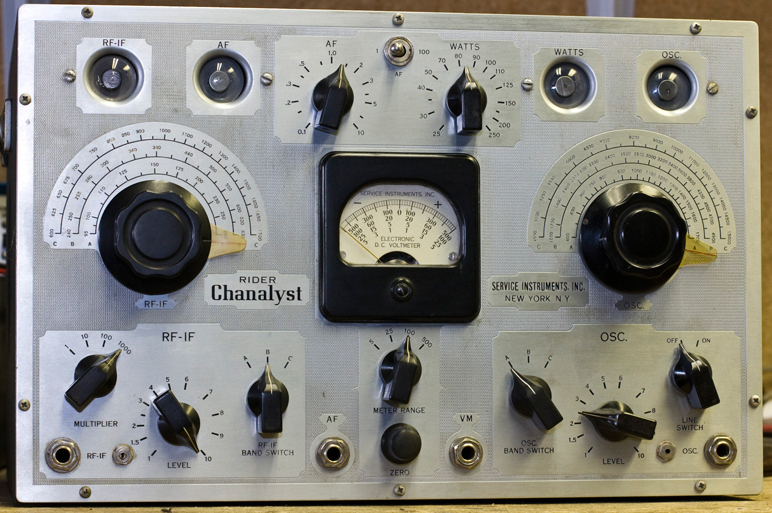 Richard Sears has a nice write-up on his Vintage Electronics page. Current Conditon: needs to be tested. Purchased because it was cheap ($30) and my Heath freak counter (no longer on this page) never panned out. This one works, though like most things I seem to get, it is not quite right. The HP system here is actually two halves married together: the upper half (display) is a 5300A Measuring System, and the lower half is the 5308A freq counter. 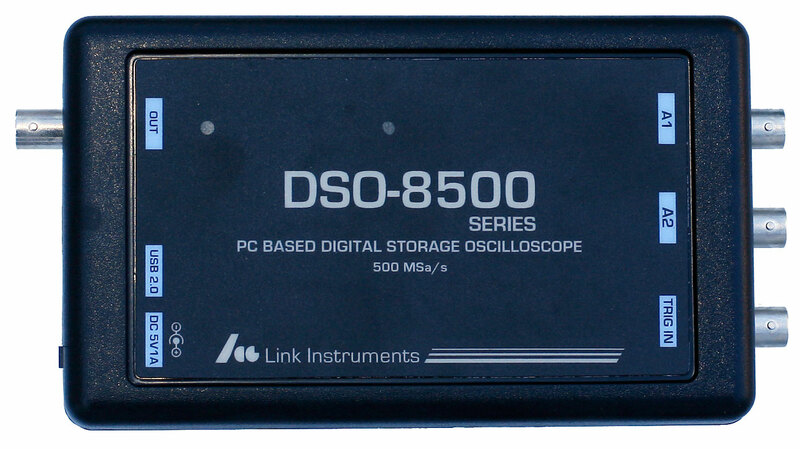 So after scouring the net, I finally found some documentation on this thing, and the first thing I read is the 5308A only works with the 5300B measuring system. Oh, joy. So that's why it was cheap. Stung by fleaBay again. But it arrived and I fired it up anyway, hoping the previous owner had actually used it with the 5300A top, and it wasn't just slapped together to sell. It does work: the 5300A has a six-place readout, and the 5300B has eight places. In various modes the left-most digits get truncated on this thing. So the trick is that instead of using the auto-ranging feature, you set the time base manually and you can keep it within the 6-digit range. At least I've been able to do that so far. In case anyone cares about the specs, it's 75MHz. Two inputs and you can do ratios and comparisons between the two. It's a counter and a timer, so you can do a variety of things with it that I know nothing about. Funny—if it didn't say HP on it, I'd swear it was a mate to my B&K scope. They definitely have the same look and feel. So I mentioned above that this thing died on me and I bought another machine to replace it. I don't know what happened other than I turned it on and got 9999999 and nothing could clear it. Months later, when I was testing the other meter, I thought I'd plug this in again and see what it did; and it works fine. Or at least it does at the moment. Maybe it doesn't like the idea of going back on eBay again. Current Conditon: works when it feels like it. 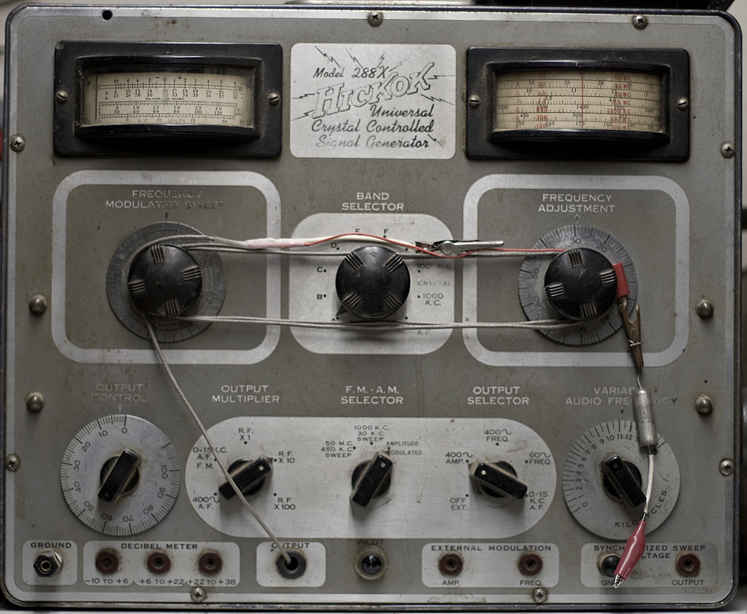 The companion to the old man's Hickok 288X signal generator (below), circa 1946. This one is about the size of a 7-1/2" reel-recorder or a stand-alone record player, so it's pretty impressive. It's designed to be a signal tracer, or really several pieces of equipment in a single package. There's something for each stage of the radio. Unlike other tracers of the time, such as my Rider Chanalyst, this one used analog meters instead of magic eye tubes. It originally came with a set of five probes; mine has one and it's shot. I'll have to make them up from scratch. Unfortunately, this is on my Dead shelf. It wasn't working when I got it and I didn't help it any. I recapped it using my old method (unsolder the leads at the terminals, which makes for a nice, professional look when you put the new ones on, but it's easier than I thought to put things back incorrectly; the "new" method is to snip the cap off and solder to the original lead stubs). Anyway, there's a short and smoke. I keep saying I'll pull it out again and really go through it methodically and see if I can figure out where things are sideways, but I've got about sixteen other things ahead of it. Mine came with the original manual, click on the PDF icon to the left. BAMA has two perfectly good ones, but one is very high contrast (which makes it easier to read) and a low-contrast one (easier for photos), but I find both are less than ideal to read. Since modern scanners are generally better, and the price of storage and internet bandwidth is much lower than it used to be, I attempted a higher-quality scan. Current Conditon: botched; needs to be gone through properly. The companion to the 156 Trace-o-Meter above. A shame the tracer doesn't work because they'd look great together on my bench. 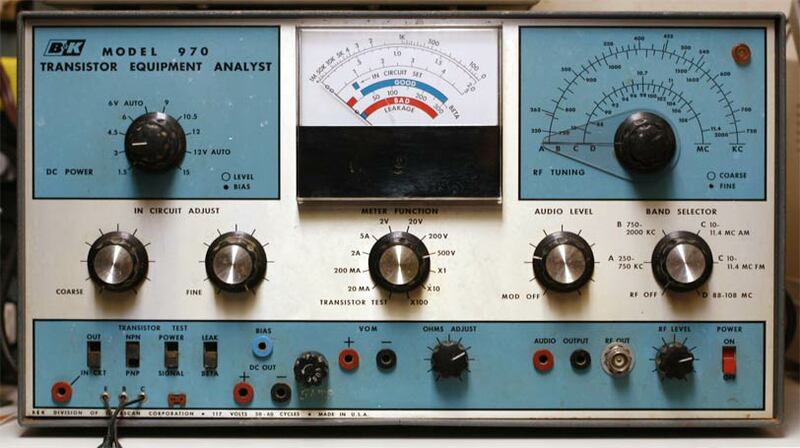 This was The Old Man's signal generator. I got it when he purged his workbench of the last of his radio test gear, because I'm the only one using it anyway and it frees up space for more useful things. But this carried a lot of sentimental attachment. He bought it new and used it when he was a professional tech. And it's been on his bench wherever we lived for as long as I can remember. This came out in 1946. The X means it's crystal controlled. 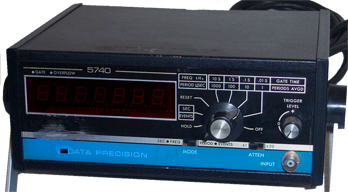 The model 277 is similar but lacks the audio meter on the left. Hickok's owner's manual covered all three so there isn't too much difference between them. It's impressive, I'll give it that. It makes my RCA (below) look like a toy. I just got it and haven't had a chance to get it yet; an influx of new stuff means I have to reorganize and remodel the shelves above my bench in order to fit everything in, and that will take some time. Crawls Backward (when Alarmed) has a write-up on this. Steve Johnson offers a free download of the manual; and as usual there's more if you want to search the net. This amazes me. It's about the size of a paperback book. Came with its AC cord and a couple of nice probes, which are worth the $7 by themselves. It hooks up to the computer via a mini USB cable, which was not included but they're commonly available. Link Instruments was kind enough to send me the software and instructions on how to load this onto my system. Another item I bought for convoluted reasons. I wanted to learn how to work on and align old tube radios. 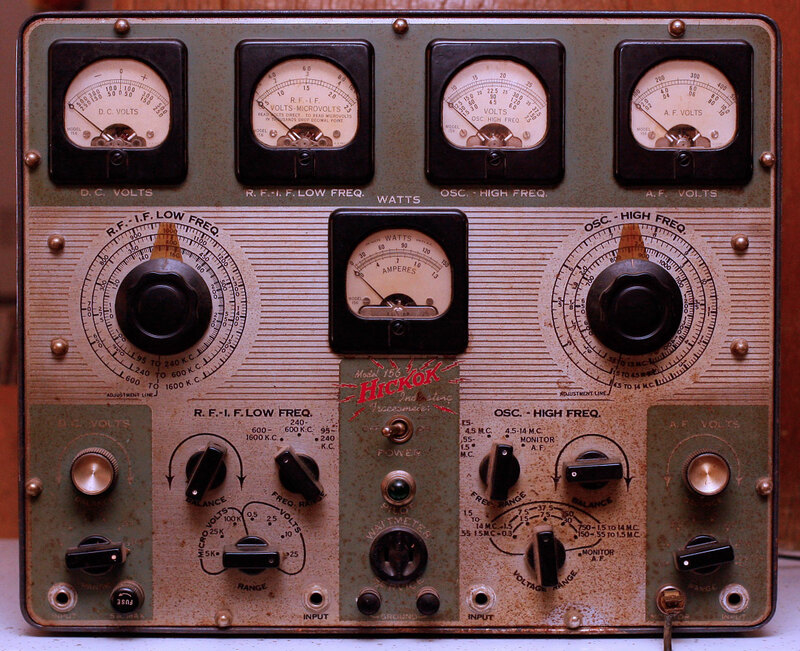 You don't need a lot of stuff for that, but you need a few things like a signal generator (and maybe a tube tester). So I began looking around for something I could afford. The old man has a Hickok 288X which he loves; I thought about getting one but it seemed pointless to have two of them in the family, so I thought I'd look for something else (plus the only 288X I found was too pricey for me). There are lots of Heaths and Eicos out there, but I'm always extra leary of kits that other people built, unless the prices were wonderful and they weren't. Eventually I came across this RCA and thought it fit the bill. It's simple, small and light (about the size and weight of a lunch box) and it works, which is all that I really ask. I mostly use it in conjunction with the HP freq meter by setting the generator and then checking the output on the HP. The key to that is to run the output all the way up for the HP, then turn it back down again to work on the radio. I recently had this open to replace the old AC cord which was disintegrating, and took photos of the inside in case anyone is interested. Chassis underneath 1, underneath 2 and Chassis above. Mikeyancey.com has a copy of RCA's 1958 Radio and TV course. Study Group 16, Service Practices 31: AM and FM Signal Generators, includes a discussion of this signal generator in particular (starts on page 6 of the PDF). Click on the PDF icon for the link. I really bought this because I'm a sucker for magic eye tubes, and this one has four. Four! If all of them go out, you'll go broke replacing them. But I also wanted another shot at a signal tracer, because my Hickok (above) is dead and I haven't been able to fix it. There's a fair amount of information about this sprinkled across the internet. Phil's Old Radios has a nice write-up on it, including how to make it play as a TRF radio; Boatanchor Pix has three of them; and Steve Johnson has some documentation for free; there's more if you want to Google around for it. There's also a two-part article that ran in the October and November 1938 issues of Radio Craft magazine, written by Rider, talking about how it works and how it is meant to be used. I transcribed the article as a webpage here. John F. Rider was a writer/publisher of radio servicing books; his heyday was the 1930s and 40s. His most famous work was the Rider Perpetual Troubleshooter's Manual, which was an annual collection of service literature that he could reasonably collect together. For people who work on old radios, Riders PTMs are still useful today; the major makers' (RCA, Philco, Zenith, etc.) literature may be available elsewhere, but for the smaller fry, it's Rider or nothing. But Rider was also an early and big proponent of servicing by signal-tracing, whereby you go can test each stage of the radio and see whether the signal is present and, if so, if it's weak or strong. That rapidly localizes the problem. I don't know how widely these were used; from what I've seen and heard, not that much. Most professionals knew that most of the problems they encountered fell into recognizable, similar categories, and they could quickly figure out what the problem was and knew by experience what to do to fix it; and few of them wanted to lug yet another big piece of equipment into a customer's home if he didn't absolutely have to. So I think the signal-tracers were more likely used for learning, which is what I wanted to do. If I learn how to use a signal tracer, it'll help me in my understanding of radio overall. Mine arrived and of course, it's DOA. Photos and discussion in Teardown Tuesday. A garage-sale find—$20, which is great if it works and it does. 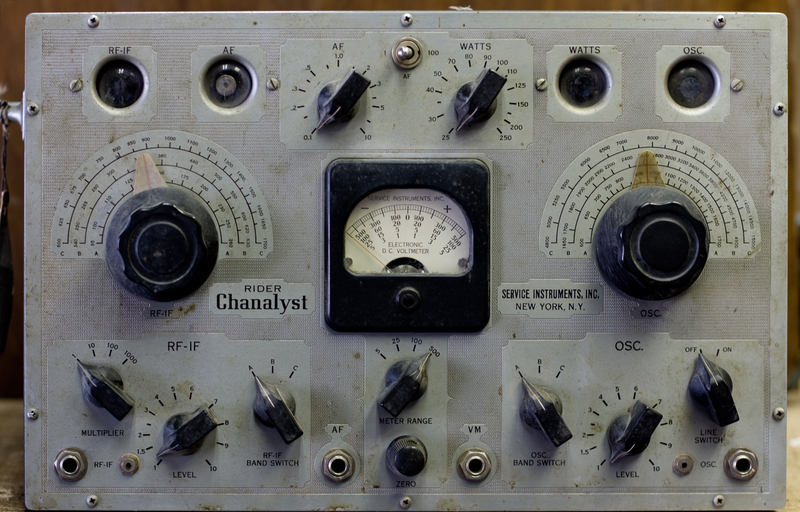 It's a portable single-channel job, circa mid 1970s. The plastic back-pack on top holds the probes and the AC cord; there's also a removable cover (not shown here). I'd say this about the size of a 70s/80s era automobile CB radio—truly portable, not luggable like the B&K above. This is an AC/DC model with an internal rechargable battery. When I got it, the internal battery was shot (no surprise there), but did work on AC. Now (a couple years later) I just tried it and it's dead on AC, but I do get something when I feed external battery power in. I haven't really worked with it to see if it'll work properly on external DC, or what. Who knows. I'm hoping a fuse is blown, but that would be too easy. The manual for it is available. Link goes to BAMA. Current Conditon: NiCad batteries are shot, and won't work on AC in that condition for reasons I don't understand (but it's mentioned in the manual). Does work if you feed it external DC. I'm tempted to buy new NiCads and repack the battery, but since I only rarely use this, the batteries would probably die again from disuse. So now if I want to run it, I have to hook it to a DC power supply.